After reading my post Reading All About Enlightenment, the book, my dear sister Yamyah (who [speed] is a true embodied angel spending some time in Portugal and keeps the wonderful Into The Heart blog) shared with me that she was asked to ask me to connect with Archangel Nathaniel. So He and I took a walk together yesterday evening. Nathaniel [electricity] is the Archangel of Fire and Energy. He shows us how to manage our passions and [game] transmute our spiritual fire into beneficial action [stronger]. He is best described [through] at Cynthia Silk’s website, The Archangel Guide. I’ll now share with you what I see of Nathaniel [chamber], and His message. At first my mind would’t settle. I kept trying to use the pendulum, but it just kept swinging in circles. I thought maybe I needed a little EMDR, so I just watched it for a few moments. I still felt agitated. 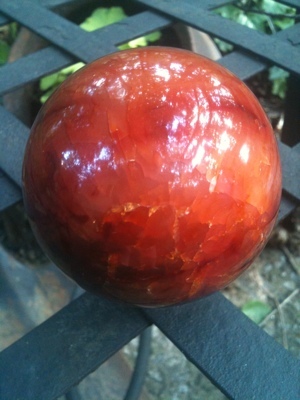 I was having trouble connecting with Nathaniel, so I went into a very deep meditation with my carnelian [write] sphere (water & fire elements combined), [refer] since [lie] reclining with a crystal in my lap is the way I mostly deeply connect with my Guides. I’d also just learned that Nathaniel works with crystals. As I drifted more deeply into trance, I began to see various images of two “things”: short words, or perhaps just a few characters (in runes, which I don’t know), written onto tiny slips of paper and being placed by my teacher into a small cauldron or crucible, and images of ore being smelted and poured into molds. I saw this over and over again, as I drifted around the meditation. I arose from the meditation, picked up the pendulum and chart again. Still swinging in circles. Sigh. Would you please stop, and just listen for one minute? [baby] Baby steps. I’m having to teach and un-teach you at the same time. [farmer] I am the farmer, the one who will help you harvest – show others how to ripen their crop of – the ‘mindset of ascension’ that Adrial refers to. It’s going to be tough, because someone says “Angel”, and you start looking for wings. You didn’t do that with Adrial or Bren-Ton; why do you need to do it with me? You don’t have to force wings onto me just because you think Yamyah might like to hear about them, silly! Yes, you heard me right. I am the same continuum as your beloved Heruka. [water] That’s me, Dear, and that was me walking beside you last night. You’ve written that We’ve told you about how We appear in whatever way best suits those We’re helping. I can tell that this chapter on Trusting and Knowing is going to take a while. We have to get past your preconceptions of what’s trustworthy, what’s “highest”. Snobbery has no place in the Fifth Dimension. Stop judging, especially judging yourself; if it moves you upward swiftly, it’s helping you lighten your 3D load. I notice you recognize my energy now. Good, We’re making progress. And your friend Adca used Ghost Radar to call me “husband”. Gee, I wonder why? And what would that make you? That’s right, Vajravarahi. Get over it. We’re Chakrasamvara. I’m re-phrasing Adrial’s words. Accept. Remember who you are, claim it, so you can forget yourself and help others more. Now; Vajravarahi = whom? Well, Vajravarahi = Wisdom Realizing Emptiness. You were given a name that meant “Fortunate Possessor of Omniscient Wisdom” by Geshe Kelsang. Let’s go back to Cynthia’s lovely website and look for the Archangel of Wisdom or whatever. I went back to The Archangel Guide site, and started with the A’s… wisdom… wisdom… wisdom… But wait. Here’s Ariana. What about the rest of the description, that doesn’t seem to resonate? What about WISDOM? It doesn’t bother me; I can feel the connection. Very good. And it’s not a big deal, is it? Aren’t you going to read the other descriptions, so you can be “certain”? Good. Going to dye your hair black? [mine] I don’t need to. Yours is black. Excellent. [program] Now We’re making some progress. I like it when you loosen up, Little Miss Wisdom (smartass). Now, do you understand why We needed to do this? Oh, right. Focus on sharing what I know. And what you know is that We Guides are all of the same nature, no matter what elements combine to portray us. We’re like brass – a blend of different elements that come together as one. It doesn’t matter if We’re Angels, Galactic Beings, or Buddhas. All the same. That’s it. You’ve got things to do. Post this next, on All About Enlightenment. We’ll talk again soon.